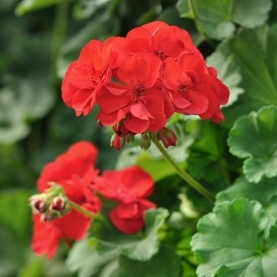 Stillpoint's Geranium flower essence holds the energetic imprint and energy of the deep red geranium flower. The flowers of this particular essence were collected from a sacred garden. This flower essence carries the energy expansion, letting go and fun. Flower essences are usually taken internally. A drop or two under the tongue or four drops in a glass of water sipped throughout the day. They also can be used topically. But they are purely energetic. No fillers, no oil, not essential oil, not a hydrosol or essential water.